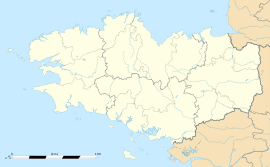 Le Tronchet (Breton: Ar Granneg) is a commune in the Ille-et-Vilaine department in Brittany in northwestern France. Inhabitants of Le Tronchet are called Tronchetois in French. Wikimedia Commons has media related to Le Tronchet (Ille-et-Vilaine). This page was last edited on 5 July 2017, at 10:37 (UTC).